The world has been worrying about high fuel cost and the environment, for a long time there has been a movement to conserve energy. This movement has created a search for alternative energy that is cheap and environmentally friendly. 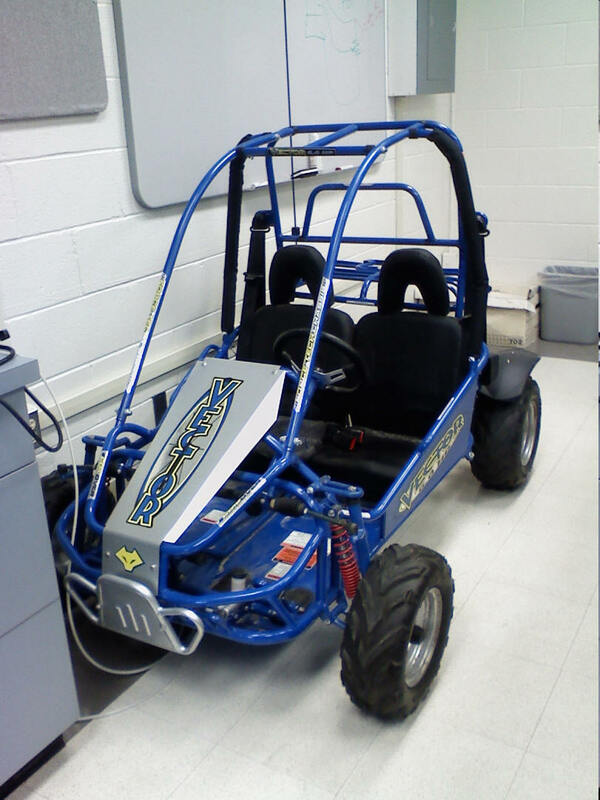 This made some Bradley students to start a muli-phase project to create a urban electric vehicle. The first phase of this project done in 2009 was just to build a lightweight electric vehicle that would be street legal. The group was able to design and build a fully functional urban electric vehicle. In 2010 the next group worked on phase two of this project which was to generate the significant models of the subsystems of the vehicle. This group was able to successfully model the motor, battery, controller, vehicle dynamics and loads. This project is entering the third phase for 2013 school year. We will be focusing on getting the regenerative breaking subsystem up and running to make the vehicle even more efficient. Most of our research will be on regenerative breaking but first we will have to look at the past projects. We will need to understand what the groups have accomplished, and what they have implemented on the vehicle already. We may have to model a few things that the past group was unable to accomplish in the past before getting into the regenerative breaking portion.